Most of us do, experts say. The bigger question is what type of combo. Once you discover that, find out here how to adjust your routine and bring out the healthy, silky, shiny hair you were always meant to have. Sweating heavily during HIIT or hot yoga causes an oil buildup on the underlayers of your hair, especially where moisture gathers at the nape of the neck. Add in lots of out- door fun plus any color treat- ments, and you’ll find that “your top layer is damaged because of its direct expo- sure to UV rays, heat styling, and bleaching,” says Jet Rhys, a hairstylist in San Diego. To combat greasy underlayers, aim dry shampoo into the underside of the hair before your workout to soak up oil. Once that contains an anti-inflammatory like bisabolol will also soothe your scalp. To prevent damage: “Ask your colorist to add a strengthener to the color formulation she uses,” says Mika Rummo, a stylist at Salon AKS in New York City. And apply a frizz balm with UV filters before you head outside or reach for hot tools to tamp down flyaway and absorb the impart of any harsh elements. Sometimes hair seems to have a mind of its own–certain sections lie perfectly straight and flat, while others coil and frizz uncontrollably. If you want to go all wavy, apply a curl cream to damp strands, scrunch, then air-dry. “Wrap any remaining straight pieces around a small 1/2- to 3/4-inch curling iron to give them body,” Rummo says. For smooth hair all over, blow-dry using two brushes: A round brush adds volume to flat areas, Rhys says, and a paddle brush controls the frizzy areas. 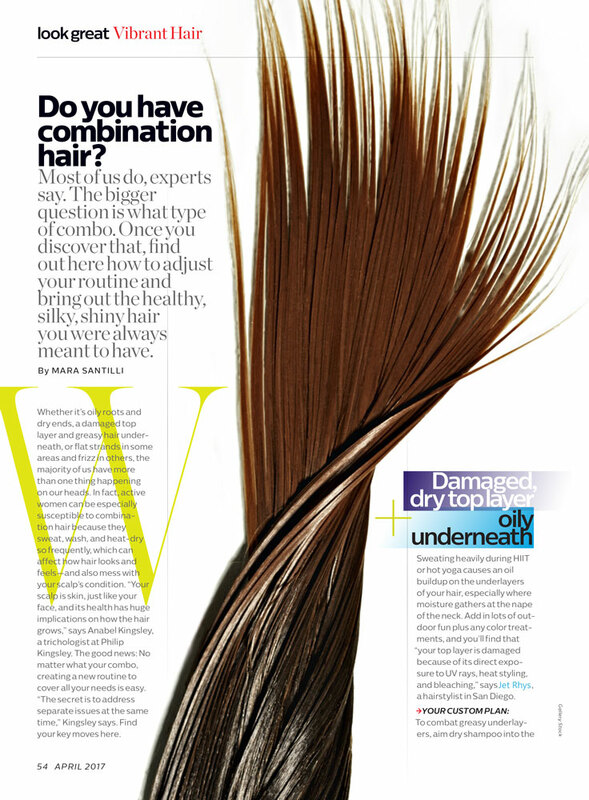 Celebrity Stylist Jet Rhys on how to Weatherproof Your Hair!